According to a report in the Baltimore Post-Examiner, MGM Resorts International has hired a number of former military and police officers in recent months in order to bulk up security in the wake of the mass shooting in Las Vegas last October. The Post-Examiner found information on LinkedIn that suggested that the company had hired five former Las Vegas Metropolitan Police Department (LVMPD) Special Weapons and Tactics (SWAT) team members in December and January. Those officers were assigned to jobs as emergency response team supervisors and training coordinators. 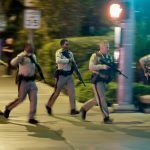 The newspaper said that a former LVMPD member confirmed that MGM Resorts had been hiring former SWAT team members. 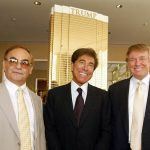 In addition, the Las Vegas Review-Journal reported that the company had added multiple former military officers for their emergency response teams. Those included a former Marine Corps sergeant who became a team supervisor, as well as two Navy officers, one of whom was an anti-terrorism specialist. She did, however, confirm the existence of the security units in question. “MGM developed an Emergency Response Team Program as part of our commitment to continuous improvement of daily operations and to assess and address security risks,” DeShong told the Review-Journal. The Review-Journal also found an MGM lob listing on LinkedIn seeking to hire more officers for these teams. “Emergency response team officers are responsible for providing both highly visible and covert professional armed security to the property to complement existing security programs,” the listed read. Planned Program, or Response to Shooting? Former LVMPD detective Phil Ramos told the Review-Journal that MGM was putting together a “civilian version of a SWAT team,” one that would both train other security personnel and head the response to any emergencies at MGM properties. 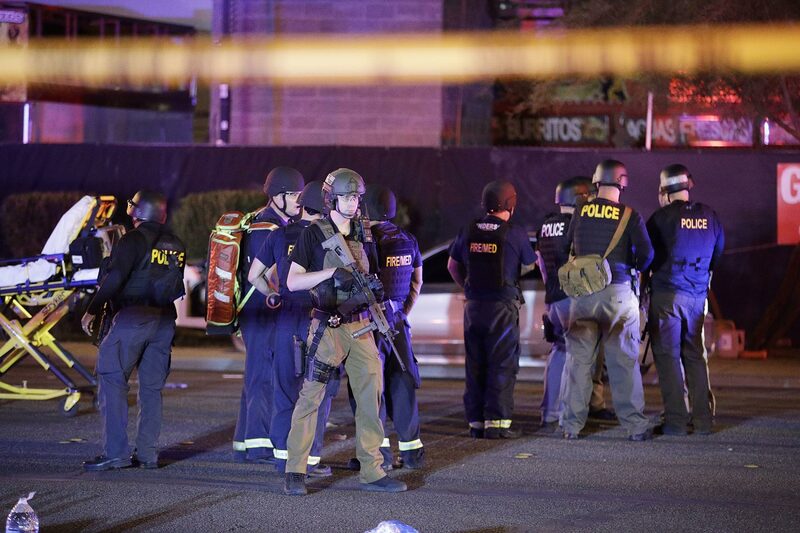 While DeShong said that the program had begun before the mass shooting, it’s likely that the emergency response teams are being reinforced following the events at the Mandalay Bay. Shooter Stephen Paddock fired more than 1,100 rounds from a suite on the 32nd floor of the Mandalay Bay into a crowd on concertgoers, killing 58 and injuring more than 800 others. Paddock was found dead in his hotel room from a self-inflicted gunshot wound about an hour after he finished firing on the crowd. The response by the LVMPD and security personnel at the Mandalay Bay was heavily scrutinized in the wake of the attack. 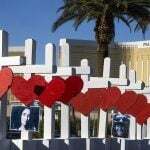 In November, MGM Resorts was among a number of defendants named in several lawsuits filed on behalf of hundreds of victims of the shooting, alleging that concertgoers weren’t adequately protected. While MGM may be creating their own version of a SWAT team, there’s a chance that they’ll have the real thing right near the Mandalay Bay sometime soon. 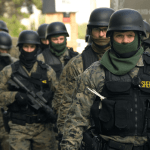 In January, the company confirmed that they were considering giving a portion of the shooting site to local law enforcement to use as a SWAT command center.